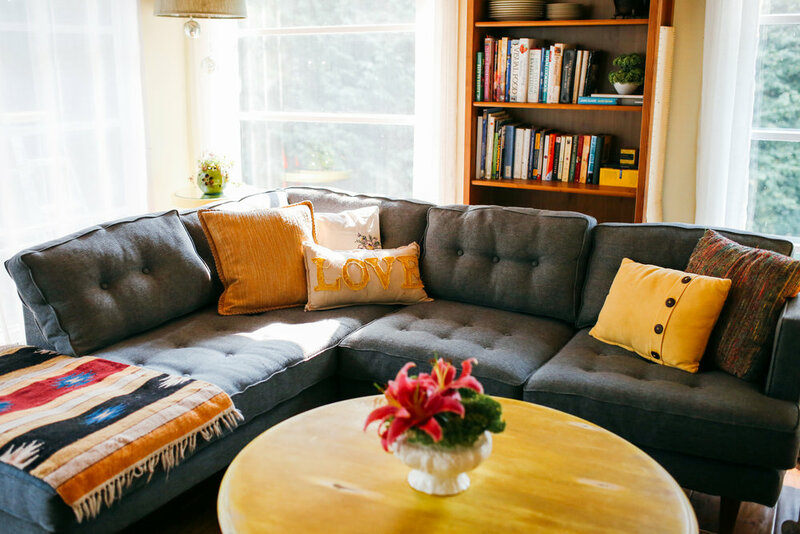 This living room is an eclectic mix of old and new. Many pieces were thrifted, or found on the side of the road. The side table/cart was free because it was found on the side of the road! I spray painted in white and decorated it with some books and a basket of zucchinis and squashes from the garden! The floral piece was designed by Stacie, using flowers from the garden placed inside a thrifted vase from Value Village. The hanging corner lamp was fashioned from a lamp kit and an old lamp that I re-purposed for the space. 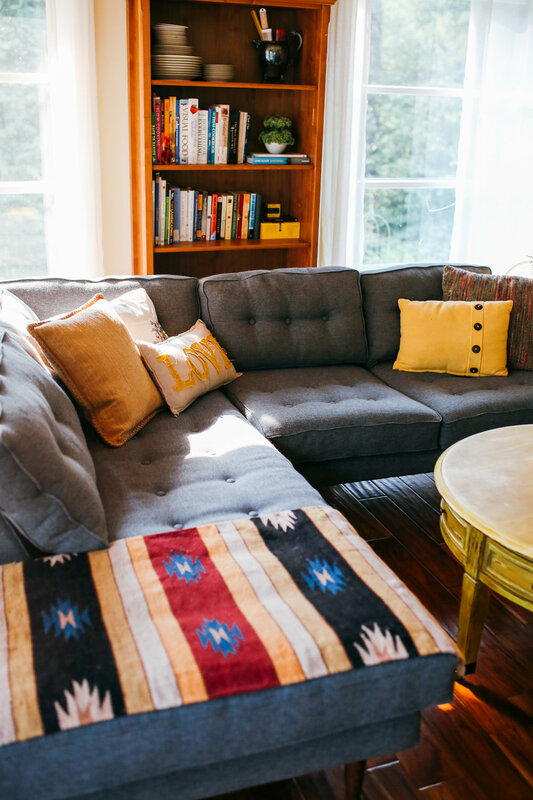 The couch is new from West Elm. The basket, the bench, small corner table, and most of the quilts you see were thrifted.